Turpentine Creek Wildlife Refuge kicked off their new educational programming this month with a variety of hands-on learning activities that focused on an assortment of animal topics. March is always a very busy month for us as the weather warms up and the kids are out for Spring Break. The education department was prepared to provide fun learning activities for guests of all ages. 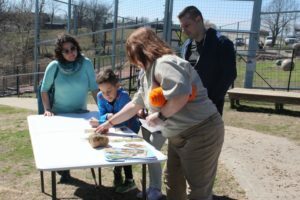 Activities started with World Wildlife Day where visitors discovered the importance of wildlife and how they can help no matter where they live. 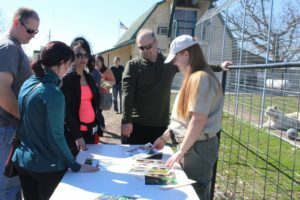 With programs focused on Biodiversity Hotspots, adaptations, recycling, and much more; visitors were able to have a deeper understanding of how all living things are connected and that we all play a part. Spring Break was a week full of fun activities every day centered around the wildlife that calls the refuge home. One of the programs; guests discovered animal strength by handling large enrichment toys and experienced how heavy they are for us compared to how easy it is for Tigers to pick them up. Throughout the month, our education programming allowed guests to discover the refuge in a new way and how to be the voice for all wildlife. Turpentine Creek Wildlife Refuge is gearing up for 2018’s NWA Gives day! You’re invited to our online day of giving Thursday, April 5th from 8am-8pm CST for a day dedicated to the nonprofits that call Northwest Arkansas home. 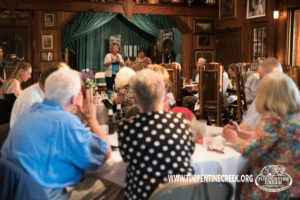 You don’t have to be a resident of NWA to participate, just show some love to NWA nonprofits like Turpentine Creek! 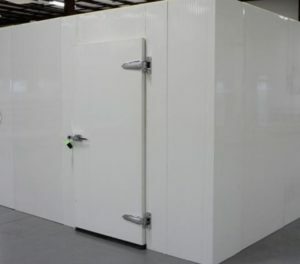 This year, Turpentine Creek’s goal is to raise $7,500 for a new 10 x 12 ft freezer to store meat for the animals. As warmer temperatures approach, we are going to need more cold storage space to keep our animals meals. Our bears and big cats have big appetites! We feed out between 800-1,200 lbs of raw meat daily and having the extra freezer space will allow us to more efficiently store, thaw, and feed out food for our four-legged residents. No amount is too great or too small to give, join us Thursday, April 5th for a day of giving, fun online activities, and fundraising. Please check your email, join us on Facebook, Twitter, Instagram, or Youtube for fun activities throughout the day, and donate to help us, help them. Donations will be accepted online and over the phone the day of the online fundraising event, checks can also be sent with “NWA Gives Day” in the memo line. 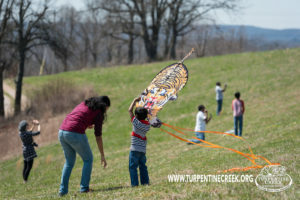 It’s kite-flying time, and what better way to share in the fun with your family than by joining us for KITE FEST this Saturday, March 24 at Turpentine Creek Wildlife Refuge – it will be a day of fun for your whole family! Get beautiful face art painted by Julie’s Face & Body Art! Visit the Girl Scout Diamonds booth and DIY faux stained-glass style kite for a window cling keepsake! Watch Wyatt Beck the Magician perform illusions and unveil his “Flea Circus” act! Sign up for our raffle for a chance to win a 6’ kite from KaleidoKites of Eureka Springs! Enjoy delicious bar-b-que at the Catered Creations stand and top it off with luscious desserts like key lime pie and cheesecake served State Fair-style on a stick from J & K Mobile food. Wash it down with a beverage from our Refuge stand; all proceeds go to the animals! Enjoy live music from Art Deco Band Trio from 12-3. Tuba, trombone, and banjo bring 1900’s vaudeville, blues and jazz melodies to life while musicians interact with the audience for a unique entertainment experience! And don’t forget the real reason we’re here: Remember, we are a true sanctuary offering refuge to the abandoned, abused, and neglected victims of the exotic pet trade. While we can’t give them the freedom they deserve, we can give them respect, love and the best care possible for the rest of their lives. All proceeds from our tours and gift shop merchandise go to the care, housing, and advocacy for these magnificent animals. Click here to learn more about our daily educational programming. 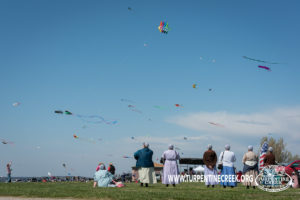 We will also have professional kite fliers on-hand to give demonstrations – – recent years have featured fighting kites and kites made of foil which can be flown in rainy conditions – and learn how to maneuver professional kites like a pro! Learn about the art of Bonsai and treat yourself to a purchase from The Bonsai Guy or visit the HempWorx stand to learn about the health/wellness benefits of 100% legal CBD oil, purchase their products and sign up for a giveaway prize! Don’t miss out on this fun-filled and educational day at the Refuge! Our annual Cats at the Castle Fundraising event is only a month away! You are invited to join us on Saturday, April 21, 2018, at 6:30 pm at the beautiful Castle Rogue’s Manor just off of Highway 187 in Beaver, Arkansas, for a fun night of fundraising, beautiful artwork, music, food, drinks, and friendly conversation. 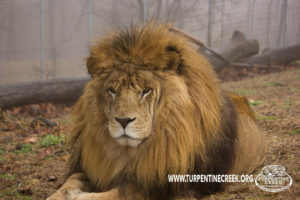 Spend a fun-filled evening with Turpentine Creek Wildlife Refuge team members and fellow big cat lovers, all while supporting the animals that call Turpentine Creek Wildlife Refuge home. Enjoy an evening listening to the live band and eating great food with your fellow big cat lovers. 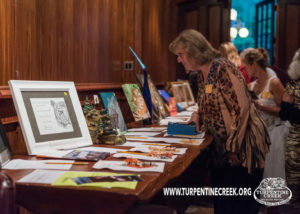 You can also participate in the evening’s silent auction as well as a live auction, proceeds from both auctions will go back to the refuge to help care for the animals that call Turpentine Creek home. Tickets are very LIMITED so get your tickets now while they last, every year we sell out. Tickets for Cats at the Castle are $100 per person. You can purchase tickets for $100 each through Paypal or by phone. Join the conversation about Cats at the Castle on our Facebook event page. Cats at the Castle is a private event for adults only. Drinks will be served along with food. Supporters are encouraged to participate in our silent and live auction throughout the night. A live band will provide entertainment. Some tables will be available to sit at but as this event is an opportunity to socialize there will be plenty of standing room. This is an opportunity for our supporters to talk one on one with our President Tanya Smith, animal care team members, and other team members. Attire recommendation is cocktail style, comfortable but elegant. We hope to see you all there! Get your tickets today before they are sold out! The team at Turpentine Creek Wildlife Refuge is looking forward to the changing and improvements that are happening at the refuge. Our new education department has been planning a fun-filled year for all our visitors, our online team has been changing up how we interact online with our supporters, we’ve launched a new advocacy program to let big cat lovers change the lives of animals in need, and we’ve also begun making changes on our website. 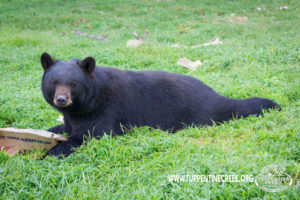 This is only the beginning of all we have planned to give our supporters a more robust experience with Turpentine Creek Wildlife Refuge. Our new education team has already begun planning a full year of family-friendly, fun-filled activities for the year. They have also been working closely with our website manager to build a new Education section on the website. The new education section not only has a place for education-centric blog posts, but also animal species information, and of course an events calendar! Click here to learn more about our new educational programming and events. Click here to view our new animal species information. A new advocacy program is also off to a great start! Over 100 messages have already been sent to congressmen about supporting H.R. 1818 – The Big Cat Public Safety Act. We are still learning the new advocacy program, but hope to continue to work with it so that we can allow our supporters to get more involved with protecting big cats. Click here to learn more about our new advocacy program and H.R. 1818. Although we are making changes, we have only just begun! We invite everyone to continue to watch us on social media, our website, and at the refuge. Our new educational programming is launching just in time for spring break! We invite everyone to come out and visit to participate in one of our many educational activities that will be available during spring break. Check out the educational event calendar to plan your spring break visit! This year is already looking to be full of changes and improvements. We couldn’t do what we do without your support, thank you!